The King of Bollywood! He’s just like us!! Professional lover boy and blockbuster movie-maker, Shah Rukh Khan is hapless. He took to Facebook yesterday to post about his difficulties in life and Pokémon training. We’ve all been there — worth millions and yet still unable to be the best that ever was. Also ugly. We’ve all been ugly. It is truly an unfortunate day when the man that rules the hearts of Indians around the world can’t even catch a dang Rattata. I would surely give you mine, Shah Rukh, if only it were possible. Stay strong, SRK. You’re in our thoughts and prayers. 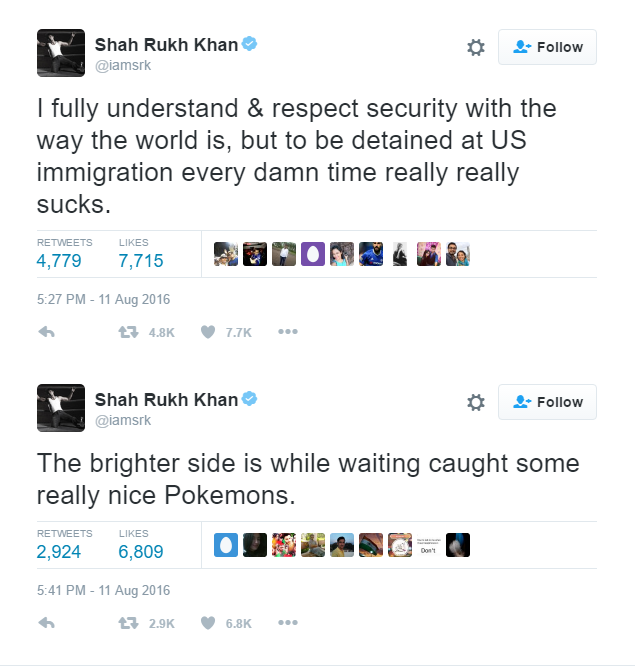 UPDATE: The crises never end for SRK, who was recently detained by US immigration. But things might be looking up.